Apologies have been issued in a Suffolk village where the parish council resigned after being sent over 100 Freedom of Information requests. 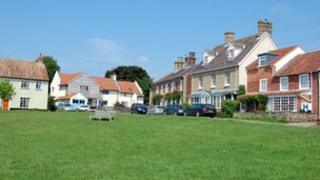 Following the fall-out, Walberswick Parish Council said it was bankrupt and its seven councillors quit. An interim council has sent apologies to four people who were sending the information requests. One of the four said the apology was "appropriate" but he still wanted his requests for information answered. The dispute in the upmarket seaside village began in 2010 when the council discussed proposals for new houses. The group of four claimed they were excluded from meetings and correspondence and their subsequent letters and Freedom of Information (FOI) requests were not dealt with. The council said it could not cope with the workload which resulted from the FOI requests and it was virtually bankrupt, despite the the parish precept, which is the amount villagers pay as part of their council tax, doubling to an average of £46.50 between 2011-12 and 2012-13. An interim parish council was appointed following the resignations. Michael Gower, interim council chairman, said: "We've got to move forward, so we have written the letters of apology. "We hope the steam will go out of the situation and we can get a working council with people communicating in the normal way - which is with a pint of Adnams in their hands." John MacCarthy, who was one of the four making FOI requests, said the apology he received was "right and appropriate". "It still means the interim council should answer the outstanding requests," he said. Alvin Hunt, who resigned from the council last year, said: "It's been a long period of stirring up trouble when the council was doing everything correctly and, while the councillors who resigned are not necessarily happy with the apology being issued, we're hoping it means an end to the affair. "As far as we were concerned, they were never excluded from meetings or denied any information which wasn't confidential. "Most people won't stand for election [in May] unless these people stop writing letters and making FOI requests about the workings of the council."